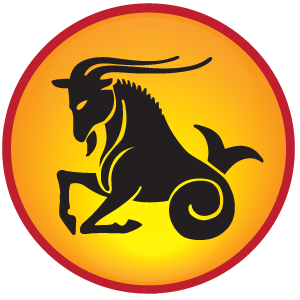 Capricorn Sign people can read here Capricorn HOROSCOPE 2015, Capricorn Astrology, Future Prediction with 2015 Capricorn Horoscope. Health, Love, Career, Financial Horoscope 2015 of Capricorn. Meaning: They are coward by nature, love art and music, salacious and maintain their traditions. Jupiter is moving from your sign. This time is very good for those who want to marry. You can go ahead in marriage. Rahu is in your luck place so you may not get support. Also Saturn is in your luck place so you may have tension. You have to worship goddess to get rid of from problems. You must have to establish Shri yantra in your home and workplace. Chant Shri Shukt every day. You will get benefits in business and other fields. This year will be good in financial and business matters. This year would be good for health. You may have seasonal disease. If you are diabetes patient then you may have to face problems during the first three month of the year. You do not have any serious health issue during this year. Jupiter is in 7th place of marriage life. This time is good for both married and unmarried people. You can go ahead for marriage. People who are in love relationships they will get good results. Venus is always fruitful for you. It always gives good benefit to you. You have to take care between 18/05/2015 – 19/05/2015 and 20/05/2015, 16/06/2015. Remedy for Capricorn 2015: Worship sky blue color’s lord Ganesh. Feed laddoo or jaggery chapatti to an elephant. Offer 108 Durva. Your prestige will increase by offering curd, honey, sugar cane juice and ghee to lord Shiva. Feed monkeys every Saturday. Saturn is the owner of your sign so chant Nilanjan Smabasam Raviputram Yamagrajm Chhayamartnd Sanbhutm Tam Nmami Sanashchram.